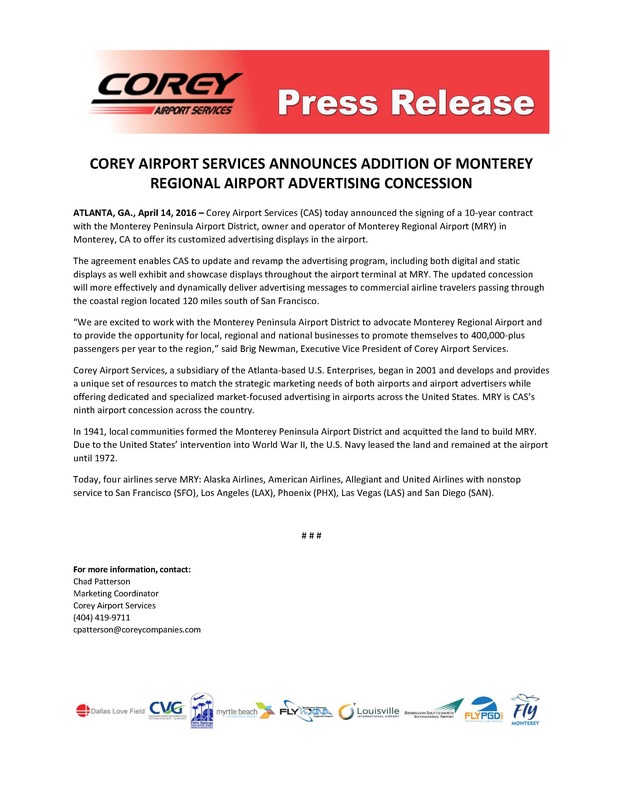 Corey Airport Services (CAS) today announced the signing of a 10-year contract with the Monterey Peninsula Airport District, owner and operator of Monterey Regional Airport (MRY) in Monterey, CA to offer its customized advertising displays in the airport. The agreement enables CAS to update and revamp the advertising program, including both digital and static displays as well exhibit and showcase displays throughout the airport terminal at MRY. 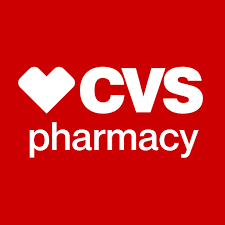 The updated concession will more effectively and dynamically deliver advertising messages to commercial airline travelers passing through the coastal region located 120 miles south of San Francisco. “We are excited to work with the Monterey Peninsula Airport District to advocate Monterey Regional Airport and to provide the opportunity for local, regional and national businesses to promote themselves to 400,000-plus passengers per year to the region,” said Brig Newman, Executive Vice President of Corey Airport Services. Corey Airport Services, a subsidiary of the Atlanta-based U.S. Enterprises, began in 2001 and develops and provides a unique set of resources to match the strategic marketing needs of both airports and airport advertisers while offering dedicated and specialized market-focused advertising in airports across the United States. MRY is CAS’s ninth airport concession across the country. In 1941, local communities formed the Monterey Peninsula Airport District and acquitted the land to build MRY, Due to the United States’ intervention into World War II, the U.S. Navy leased the land and remained at the airport until 1972. Today, four airlines serve MRY: Alaska Airlines, American Airlines, Allegiant and United Airlines with nonstop Service to San Francisco (SFO), Los Angeles (LAX}, Phoenix (PHX}, Las Vegas (LAS) and San Diego (SAN).